Solutions that make sense, month after month. At Fidelity Finance Group, we donâ€™t just provide standard business finance, often a rental solution could be right for your business. Rental facilities offer an equipment finance solution that allow you to enjoy the benefits of the latest technology now, with the opportunity to trade up seamlessly to newer equipment as it comes to market. It can also eliminate the hassle of disposing of the equipment yourself when you no longer need it. A dedicated division, specialised solutions. Fidelity Finance Group operates a division which provides flexible, low-cost rental and operating lease solutions, supported by a team of highly experienced professionals. We offer flexible, low cost solutions to assist with the acquisition of all types of equipment, including machinery, computers and software, and industrial equipment. Fidelity offers an equipment finance alternative with benefits to vendors and end-users alike. We ensures a smoother transaction, for machinery finance and business equipment rental opportunities. Sale & leaseback and rental/operating lease options. Receive dedicated service from an equipment rental specialist. Approvals within 2 hours on transactions up to $30,000. We can arrange approvals within 24-48 hours on transactions from $100,000 to $250,000. We organise the transaction, you take delivery of the equipment and pay regular rental installments, as easy as that. Complete a rental application now, without obligation, click here. 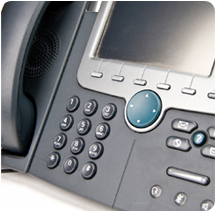 Or phone +61 (2) 9212 0799 to talk with one of our equipment rental experts.